Earlier this year, my Grandma passed away. I was not aware she was dying. My cousin told me and I rushed over to my Auntie’s house to see her one last time. 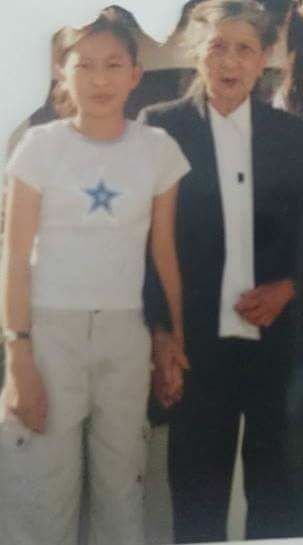 I held her hand, I told her I loved her, I told her how sorry I was, I cried as I felt utter and complete regret at how I’d lived the past 18 years. I had just 1 hour with her then she died the next day. As a child, my grandparents lived with us. My Grandpa, who I called ‘Ong’, the equivalent in Vietnamese, suffered from Alzheimer’s Disease. Most of what I knew about Ong was told to me, in deep and meaningful conversations, in my Grandma’s room. Other times, she would cook up noodles, with bits of ham and lettuce, and we’d sit and have a conversation about whatever was on my mind. My Grandma taught me about the effect of stress on menstrual periods. She listened to me when I felt alone. She was one of the few people I came very close to telling about the child abuse. She is probably the reason why I grew up still believing in people. When I felt alone, harbouring this horrific secret inside of me, for so many years, she listened to me, believed in me, and kept my faith that the world can still be a beautiful place. So, when I was told she was dying, I felt like a part of me had died. I had chosen to listen to lies, I had to chosen to exclude her from my life when I shouldn’t have. And now I felt complete and utter emptiness because she was gone. And I would never be able to turn back time to rectify my mistake. Tonight, the weather was incredibly chilly, it’s the coldest it’s been all year in Perth. I went into my wardrobe to search for a long sleeved shirt and spotted my most valuable one. The long white sleeved shirt she gave me when I was about 11 years old. I hesitated but she continued to tell me to take it. I took it. And I wore it… to the viewing of her body after she passed. It is the only time I have ever worn it. I sobbed endlessly at her funeral. I cried not just as the 29 years old I was but as the 11 year old who cherished the fact that one adult believed in me. I feel so angry. Utterly angry that her sickness was intentionally kept from me. I am furious that lies were told that I was on holiday. I hadn’t been on a holiday in 25 years! I am also heartbroken. Heartbroken that I grew up with my Grandmother and she is now gone…. But, as angry, as furious, as heartbroken as I am… I am still grateful. I am grateful that my cousin rushed to tell me. That two of my cousins, as well as my Auntie, did not take no for an answer. That my Auntie told my cousin to call me. That they know who I really am – that I would never be holidaying as my Grandma lay dying in bed. 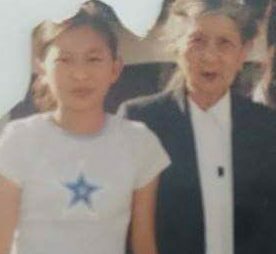 I am grateful that the hours I spent with her at my Auntie’s place as a child, flicking through her Vietnamese books, asking her how she was, that by choosing to spend time with her instead of with my cousins, that she appreciated every moment that we had together. My Grandma and I when I was 11 years old. Her appreciation was evident when I held her hand one last time as she lay dying and she opened her eyes just for me. I’ve held this secret inside me for 20 years, it has ripped apart my relationships with many people, it has led to me being labelled as ‘crazy’ and a ‘liar’… it has destroyed so many elements of my self-confidence and my self-worth. It has led to multiple suicide attempts, calls to Lifeline, calls to the Sexual Assault helpline, hours and hours with a counsellor. But when I remember how much my Grandma loved me and how much I loved her, I remember that she believed in me, a long long time ago. And when I doubt myself at work, when I doubt whether I’m worth loving, when I doubt my capabilities – I remember that so much of her still lives in me. She was a beautiful, kind spirit who listened, who understood, who took the time to make a person feel loved. And I believe I am who I am today because of her. I will always feel regret that I let life get too busy with married and family life, that I listened to lies instead of letting her explain, and that I didn’t make more time for her. But her passing has taught me that you can’t wait for death to help you appreciate life. Cherish the people who love and understand you. Travel, explore the world, move overseas if it’s what you truly want. Work towards the career or job that you really want. Don’t let people bring you down. Take risks and don’t be scared to fail. It’s okay to feel regret but please let that regret teach you something valuable. Learn from your mistakes and get back up.